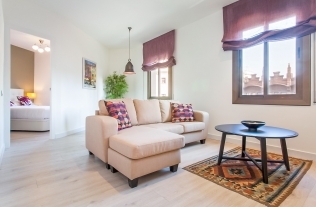 Accommodation Nearby: Find holiday accommodation in Barcelona. 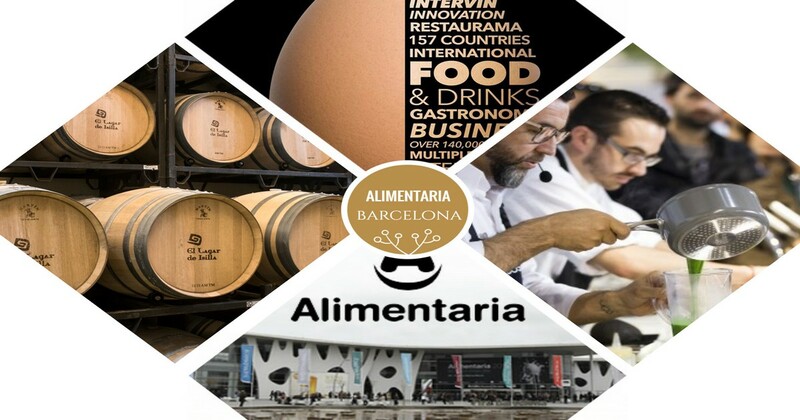 Website: Official Website of Alimentaria 2018 here. The Food Fair is back in Barcelona. The Food Fair Barcelona brings together all the industry’s opportunities in six shows specialised in key markets and consumer trends. It is a leading trade show for food, drinks and gastronomy in Spain and the Mediterranean Arc, and an international benchmark for the industry. In past editions there have been more than 140,000 professionals, 40,000 visitors, and 4,000 exhibitors that have helped attendees discover new and international food products from over 140 countries. 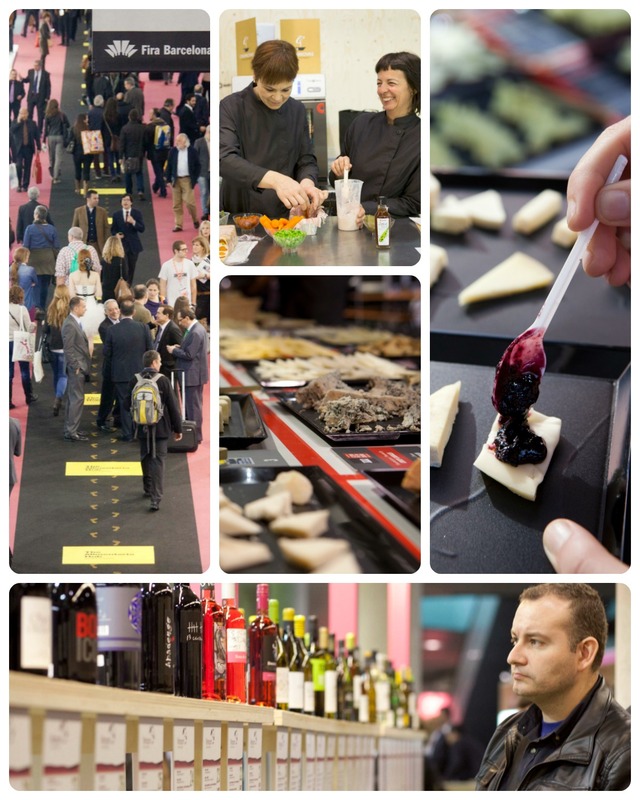 Amongst the halls are gastronomic innovations, tasting experiences, and many many samples! This event is a must for all foodies and food professionals. The event halls cover over an acre dedicated to the world of cuisine, full of activities and tastings. There will also be specially organized live cooking shows, one in which 4 chefs will all prepare a classic dish with the objective to put their own innovative spin on it. There will also be seminars on food innovation where you can discover the trends and brands of today. Food and wine tasting. Learn at the workshops. "This is what I took from Alimentaria 2014: 233 pamphlets, 68 viable contacts, 18 product samples, 3kg in tasting, 1,000,000 ideas, and 2 new friends for life." You have no excuse to miss this show. A real opportunity awaits professionals, and lovers of food will appreciate the unique and hard to find food products as well as the opportunity to taste practically everything from all corners of the world. There will be Masterclasses, workshops and show-cooking sessions. There are lots of different activities to take part in, such as the Olive Oil Bar and Barcelona Cocktail Art. Take a look at the full agenda here. There will be six shows specialised in key markets and consumer trends. The exhibition will also aim to increase knowledge about Halal products and organic wines. This area specialises in food trends and fast-moving consumer goods (FMCG), which are products that are sold quickly and at relatively low cost. There are 1950 exhibitors and it occupies 27,000 m2 of the exhibition, making it the biggest sector at the exhibition. It also offers a selection of goods from Spain and the rest of the world. This is the most diverse section of the event with seven different areas displaying the top brands in domestic and international food industries. This area is particularly useful for trade professionals in the industry, as it is the perfect environment to learn about the most recent launches. This will help traders to understand and meet new demands from well-informed, health conscious and busy consumers. The business platform for the preserved food industry, with 174 exhibitors and 3,800 m2 of the event. This section of the exhibition unites the most important companies in the Spanish canning industry and the leading countries in the sector. The latest innovations and trends in canned and semi-preserved products will be on display from more than 100 firms. Intervin is the biggest sector event for the Spanish winemaking indsutry. There was 772 exhibitors and the section occupied 15,000 m2 of the exhibition in 2016. Spain is one of the biggest producers of wine in the world and is the leading country for wine exports. The country has even won awards for the quality of its wines. Small and medium-sized producers from the Spanish Autonomous Communities will also be present. This section of the event is home to hundreds quality meat exhibitors who will showcase their commitment to good quality meat and new trends in the market. Intercarn is supported by many of the market’s leading firms and the industry’s most representative associations and institutions. There are around 450 exhibitors which occupy over 15,000 m2 of the exhibition. In this section of the exhibition, 145 exhibitors will occupy 3,700 m2 of space to showcase the best dairy products and cheeses – one of the highlights of the event. Try some of the cheeses at Interlact - one of the highlights of the event! This sector serves the domestic hospitality industry, which is a growing sector in the Spanish economy. The latest gastronomic trends and the country’s best chefs will be showcased in The Alimentaria Experience. There will be numerous activities, such as tasting sessions and demonstrations of culinary techniques. There are over 300 exhibitors and the section occupies 10,500 m2 of the exhibition.